A Keokuk man's been charged with murder, and is accused of fatally stabbing a woman Tuesday night. 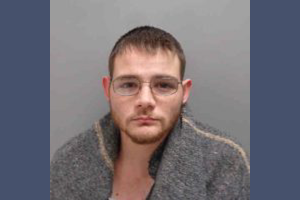 The man's been identified as 24 year old Adam McCain, who is charged with one count of First Degree Murder. Police say that Tuesday night around 10:30 PM, they were called to the River City Mall in the 300 block of Main Street. They were called on a report that a woman had been stabbed in the parking lot. She's been identified as Calove Sackman of Keokuk. She was taken by ambulance to Unity Point Hospital in Keokuk, where she died of her injuries. McCain's in the Lee County Jail, awaiting a bond hearing. If convicted, he faces life in prison. Police say the investigation remains active.